Automated Flight Service Stations  often referred to simply as "FSS" or "Flight Service"  are Air Traffic Control facilities that assist pilots. Services include weather briefings, flight plans, search and rescue operations, and more. Along with en route and terminal ATC, AFSS facilities are a cornerstone of the Air Traffic Control system. While once there were nearly 300 Flight Service Stations within the United States, both automation and consolidation have reduced their number to around 60 at present. The two AFSS facilities in the Pacific Northwest are McMinnville (website) and Seattle (website). Both facilities maintain websites with a wealth of information when to comes to informing, advising, and assisting pilots. The fundamental services are outlined below. 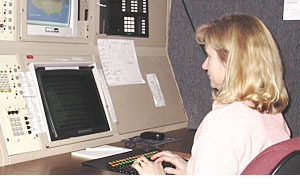 A Flight Specialist (commonly called a "briefer") at an Automated Flight Service Station can be contacted in person, by radio, or on the telephone. In most cases, you will want to talk with a Flight Specialist over the telephone  an in-person visit can be valuable, but also time-consuming, while chatting with a Flight Specialist over the radio occupies bandwidth that other pilots may be waiting to use as well. To contact a Flight Specialist by telephone at the Automated Flight Service Station closest to you, call 1-800-WX-BRIEF (1-800-992-7433). The direct number to the McMinnville AFSS is (503) 434-5508. 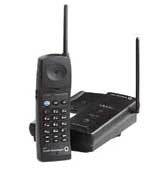 And if you're seated at the briefing desk at Willamette Aviation, press M3 on the complimentary telephone. To speak to a Flight Specialist, press "1" after accessing the telephone system. 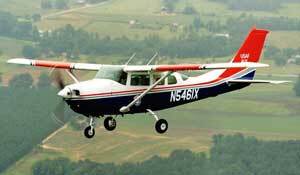 Thus, we might greet a Flight Specialist by saying "Hi, flying VFR today, November 20488, a Cessna Skyhawk. Departing Aurora. Round-robin Corvallis, Salem, Aurora. Proposed altitude 2,600 feet. Estimated departure 1700 zulu (or 0900 local). Estimated time enroute two hours. Could I get a standard briefing please?" An Abbreviated Briefing is a specific information request provided when a pilot wants just one or two items of information  this can be used if you plan to fly over the practice area and return to Aurora within an hour or two, for example, but should never be used when planning flights to any distant airport. Note that, even with an Abbreviated Briefing, after the Flight Specialist provides the requested information, he or she also will provide adverse conditions (unless you indicate that you have previously received such information). You also can use an Abbreviated Briefing as an update to a previous briefing you received earlier in the day. This briefing will be limited to information that has changed since your last briefing. Finally, an Abbreviated Briefing can be used as a supplement to TIBS (see below). After listening to TIBS, you should request an Abbreviated Briefing to obtain information not included in the recordings, such as terminal forecasts and NOTAMS. When receiving an Outlook Briefing, you typically will not be informed of any current conditions, winds aloft, ATC delays, or NOTAMs. After receiving all pertinent information, you can file a flight plan with your briefer right away, and often they will ask if you are ready to. Options 2 and 3 of McMinnville's phone system  TIBS and Fast File (see below)  allow pilots to exchange much of the same information with the AFSS, but it's good form to talk to a Flight Specialist for anything other than routine flights in good weather. Sometimes  particularly on days when the weather appears clear and your flight is expected to be brief  a TIBS report is a good way to start flight planning. TIBS (Telephone Information Briefing Service) is a set of recordings updated regularly at Flight Service Stations offering a quick, concise view of current observations and forecasts within geographical regions and along common flight routes. TIBS also will include information on if VFR flight is not recommended for a certain route  often the first sign that your planned flight will be a "no-go" for the time being. TIBS is a valuable, efficient resource that saves time for both briefers and pilots, but remember  while you can get a quick overview of the weather in different parts of the Pacific Northwest, it's best used as an intro to an Abbreviated Briefing at the very least. Flight Specialists are there to talk to pilots, and one should be consulted for all but the most routine flights. If you choose to fly without directly contacting a Flight Specialist, you can file your flight plan with Flight Service through the Fast File system. After accessing the telephone system, press "3" and wait for the prompt, after which you can read your entire flight plan into the phone and then hang up. You should not consider your flight plan to be on file for at least 30 minutes after using the Fast File system. For more detailed information on flight plans, visit our Flight Plan page, where you can find basic flight plan information and the official FAA form. 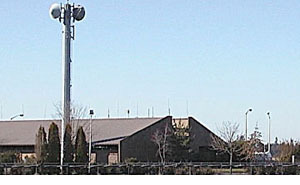 Remote Communications Outlets, or RCOs, are unmanned radio facilities that extend the communications range of Flight Service Stations. Knowing the correct RCO frequency for your location will allow you to reach a Flight Specialist quickly. Jotting down the RCO frequencies along the route of your planned flight is good practice, while RCO frequencies can be found on a current sectional (alongside the name of the regional AFSS) on navigational beacons or other locations. Always remember that when contacting a Flight Service Station over the radio, the proper salutation is "Radio," and that you must state which frequency you are tuned to (Flight Specialists often monitor several frequencies simultaneously). Thus, we would say "McMinnville Radio, November 20488, listening on 122.45" and wait for a response before transmitting any information or request. The Enroute Flight Advisory Service (EFAS)  also called "Flight Watch"  is maintained throughout the Pacific Northwest by the Seattle AFSS. Flight Watch provides enroute aircraft with up-to-the-minute weather data and Pilot Reports (PIREPs). Flight Watch is available between 0600 and 2000 hours (local time) on frequency 122.0, with communications optimized for 5,000 feet MSL and above, up to FL180 (communications may be available below 5,000 feet depending on terrain and antenna location). After selecting 122.0, wait a moment to confirm that the frequency is clear, and then announce yourself by saying the center's name (Seattle), your aircraft identification, your location and altitude, and NAVAID you are nearest to. It is not necessary to say you are listening on 122.0. As a courtesy to Air Traffic Control, be sure to tell your controller that you will leave his frequency briefly in order to contact Flight Watch. As a courtesy to Flight Watch, be sure to offer a PIREP. Click here to visit the Seattle AFSS Flight Watch page. The Transcribed Weather Broadcasts (TWEB) and the Hazardous Inflight Advisory Service (HIWAS) are not meant to replace preflight weather briefings or Flight Watch when en route, but  like TIBS on the ground  they are pre-recorded sources of weather information. TWEBs can contain various types of information depending on the location, including weather forecasts, in-flight advisories, winds aloft, and special notices. As its name implies, a HIWAS broadcasts more critical information, including SIGMETs, AIRMETs, center weather advisories, and urgent pilot reports. TWEBs can be heard on a few low-frequency NDBs and VORs, while HIWAS recordings can be tuned over several VORs in the Pacific Northwest. VORs and NDBs with TWEB capability are depicted on sectional charts with a small "T" in a solid circle in the box containing the facility's name, while HIWAS broadcasts are depicted with an "H." A current AF/D also will list NDBs and VORs that transmit TWEB and HIWAS recordings. Search and Rescue (SAR) operations are coordinated by Automated Flight Service Stations, and a Flight Specialist will initiate an SAR operation if you are overdue. The expense of such operations can escalate in a hurry, making it crucial that you stay in contact with Flight Service in case you divert or are delayed, and that you close your flight plan promptly once you have your destination in sight or your plane is on the ground. An aircraft is considered overdue if it fails to arrive at its stated, filed destination within 30 minutes of its estimated time of arrival (ETA). If there is no flight plan, an aircraft also will be considered overdue if it is delayed by more than one hour, and this is reported to Flight Service by a reliable source (such as an FBO, family, friends, or co-workers). The local search phase of Search and Rescue involves a cursory search of the destination airport via telephone. After this has been completed, messages are distributed to several facilities and authorities, including, Air Traffic Control, Rescue Coordination, county sheriffs, and state government aviation agencies. Search is then expanded to airports within 50 nautical miles of the overdue flight's filed route. A costly physical search will be conducted by the Civil Air Patrol if all other means of locating the overdue aircraft fail. If you've failed to close your flight plan, not spoken to anyone, and locked your airplane in a hangar, you might still be in bed the next morning when Search and Rescue operations are underway to find you. Therefore, it is good practice to always provide your home or cellular number when filing a Flight Plan to make sure events do not progress beyond a local search. If you're renting an aircraft from Willamette Aviation and fail to close a flight plan, it's unlikely that a physical search will be required, since all of our aircraft are tracked by satellite. Be sure to list Willamette Aviation as a destination contact on your flight plan.